Last year Samsung surprised us with lots of new releases, this year it had planned to launch galaxy S7. It is going to support 5G connectivity and has 6 or 8GB RAM, the 5.5-inch smartphone is speculated to be priced at 70,000 INR. The LG G5 has QHD or UHD display and it is powered by 4 or 5 GB RAM and snapdragon 810 processor (the most expected processor in 2016). The rear camera has 21MP and it is capable of clicking 4K pictures. It has latest android marshmallow operating system for the future generation. Xiamoi is best known for its low-budget Smartphones, this New Year it had planned to launch its best ever smartphone. Xiamoi Mi 6 has AMOLED ultra HD display with the resolution of 2160X3840 pixels. It is powered by snapdragon 820 QUALCOMM processor with the RAM of 4GB and may or may not have a 5G network connection. It has 4200 mAh battery and 21 MP back and 13MP front camera. The mobile brand may be unfamiliar to you but it is under the list of best Smartphone which is expected to release in 2016. Oppo find 9 has 4GB RAM and 20-MP rear and 8-MP front camera. The display is 5.5 inches with the resolution of 2560X1440 pixels and the inbuilt memory is 64GB for enhanced storage. The one plus two had reached thousands of mobile users worldwide. Now its successor one plus 3 is expected to be launched in 2016, it has 5GB RAM with snapdragon 820 processor. The camera is 21-MP in the rear and 13-MP in the front and it works on oxygen operating system with android marshmallow version. Apple Smartphones are very famous among the young and old generations, this New Year it had planned to launch its best ever smartphone iPhone 7. The smartphone runs on iOS 10 operating system and it is powered by apple A10 chipset processor. It has e-SIM and no SIM port (the latest technology). The phone has sidewall display with reversible USB charger. It is priced at 61,454 rupees in India. Sony Xperia Z6 expected to be launched in this New Year and it has QUALCOMM 820 or octa-core chip 3GHZ processor with 4 or 5GB RAM. The display is 5.5 inches with 4K resolution and it has 27MP rotator camera sensor with touch IP and fingerprint sensors. Lots other surprises are loaded into it, read more in previous blog post. It works in latest windows 10 operating system with other excellent features. 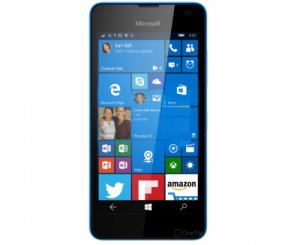 For more information refer the post written exclusively for Microsoft Lumina 940X940 XL. Nokia C1 has 2GB RAM with 32GB internal memory has an 8-megapixel rear camera and 5MP front camera. The display is 5-inches and it is priced lesser twenty thousand rupees in India. Samsung galaxy note is powered by Exynos 9 octa-core processor with 6GB RAM with a storage capacity starts from 16GB to 256 GB. The camera has 30MP rear and 16MP front camera with 4K resolution. The battery is 4700 mAh battery and has 5.5 inches display screen. The other upcoming and expected mobiles of 2016 are HTC M10 and AZUS Z1 Titan. All the above said specifications may or may not vary in the original smartphone; users should research about it before purchase.